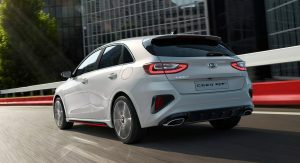 Kia’s popular Ceed range continues to expand, as an all-new Ceed GT warm hatch has been unveiled. This new model joins its more versatile ProCeed Shooting Brake sibling. The recipe doesn’t change dramatically compared to the previous-generation model. 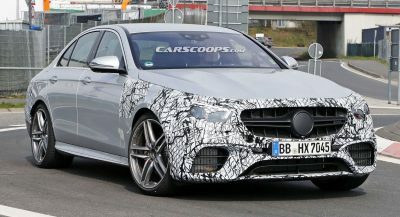 There’s still a 1.6-liter T-GDi engine under the hood, only now it has been slightly de-tuned to 204 PS (201 hp) and 265 Nm (195 lb-ft) of torque, presumably due to WLTP requirements. For the first time however, the Ceed GT gets a seven-speed dual-clutch transmission as an option alongside the standard six-speed manual. “The all-new Ceed GT occupies a unique position in the mid-size family car segment, and doesn’t simply chase the highest top speed or fastest straight-line acceleration. It offers greater agility and grip on winding roads, maximum confidence and comfort at a cruise, and fast-revving turbocharged power perfectly matched to European tastes,” stated Kia Motors Europe exec, Emilio Herrera. 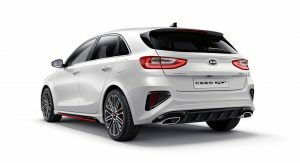 Both the Ceed GT and the ProCeed GT will go into production this November at the automaker’s Žilina production facility in Slovakia, where Kia also builds the regular Ceed, ProCeed and Ceed Sportswagon. 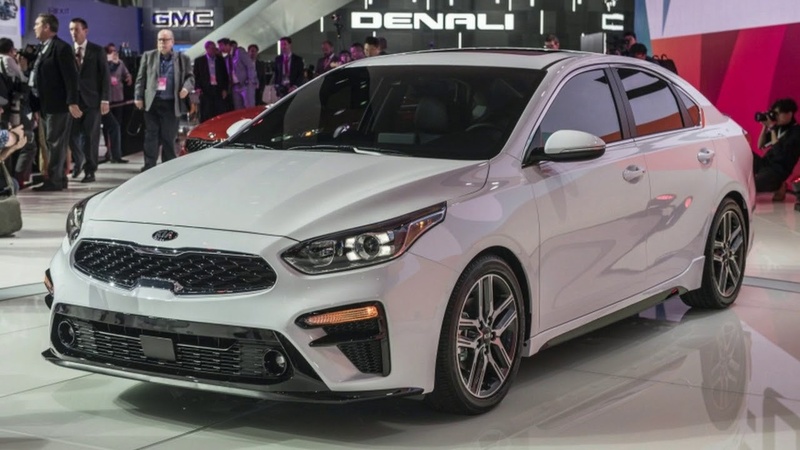 The way to tell this isn’t your regular Ceed hatchback is by noticing all the sporty visual cues, such as the new front bumper with larger air intakes and gloss black trim along the base. Meanwhile, the tiger-nose grille gains a dark chrome surround, a subtle ‘GT’ logo and some red highlights for its honeycomb pattern. Move along to the side of the car and you’ll see the gloss chrome window surrounds, more substantial side sills, standard 18-inch alloys, red brake calipers and a ride height that’s been reduced by 135 mm (5.3 inches). As for the rear, there are unique GT bumpers to complement those as the front, a gloss black diffuser and more ‘GT’ badging. Finally, there’s the small roof spoiler to help channel air cleanly off the top of the car. There will also be a total of eight paint finishes available for customers across Europe. 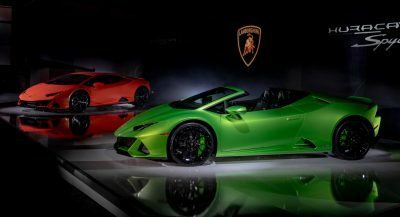 Compared to other Ceed models’ interiors, the all-new GT gains a black roofliner instead of the grey cloth one, a D-shaped steering wheel with the ‘GT’ logo, aluminum driver pedals, black leather and suede sports seats and new metal alloy shift paddles on versions equipped with the 7-speed double-clutch transmission. Meanwhile, features commonly shared with the rest of the Ceed range include the 60:40 split-fold rear seats (fitted as standard), high-quality soft-touch materials for the dashboard and the automaker’s ‘floating’ touchscreen infotainment system with either a 7.0-inch or an 8.0-inch display. Kia wanted their all-new Ceed GT to handle better than a regular model, which is why they lowered the suspension, added stiffer front and rear springs, improved the steering input, fitted standard Michelin Pilot Sport 4 tires, re-tuned the Electronic Stability Control system, and added larger brakes. In a straight line, the Ceed GT makes use of a 1.6-liter T-GDi engine, sending its wheels 204 PS (201 HP) and 265 Nm (195 lb-ft) of torque, the latter available across a wide 1,500-to-4,500 rpm range. 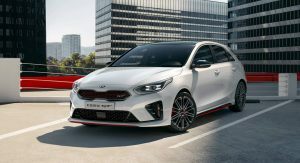 While the six-speed manual is standard, customer demand led to Kia fitting the car with its seven-speed Dual-Clutch automatic – available for the first time in the Korean automaker’s performance hatch. Acceleration and emissions figures will however be released closer to the car’s 2019 on-sale date, so as of right now, it’s difficult to say just how fast the Ceed GT is. 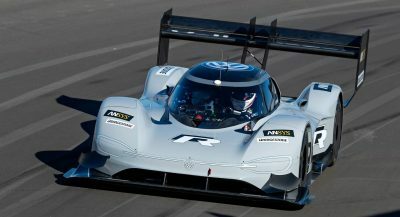 What we do know is that it should sound pretty sporty thanks to the electronic sound generator which feeds the cabin a “characterful GT engine note”. Then there’s the matter of active safety, where the Ceed GT benefits from standard tech such as High Beam Assist, Driver Attention Warning, Lane Keeping Assist with Forward Collision-Avoidance Assist. Additional systems will include Smart Cruise Control with Stop & Go, Blind Spot Collision Warning, Rear Cross-Traffic Collision Warning, Smart Parking Assist, and pedestrian recognition for the Forward Collision-Avoidance Assist system. 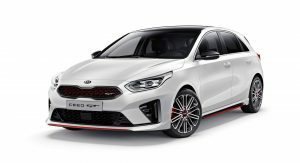 The all-new Kia Ceed GT will be sold exclusively in Europe starting from Q1 of 2019. Pricing will be announced at a later date. Hopefully this is a sign that the 2020 Kia soul turbo will have a 6 speed manual since this is the same engine with same horsepower and torque specs. So there’s the missing in action Forte hatch. Can we assume this is the new Forte5? Its the CEED, you idiot..
There’s no need to be so rude. The Ceed is very obviously a hatchback version of the new US Forte, with a different interior. actually its the other way around – you know what the name CEED stands for? Does it really matter? I was criticising Christian for being rude, and making the point that the two cars are very obviously related, not delivering a masterclass in Kia’s European history. Does it matter? 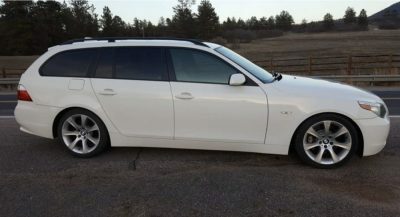 Slap some Forte5 badges on it and call it a day. As pointed out it matches the styling of the new sedan quite well. Insulting people will get you nowhere in life. 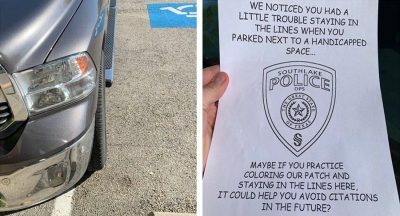 I pity you. They’ll probably pull the usual ‘decontenting’ for the US market, swap out the multilink rear suspension for a cheaper torsion beam, and replace the dashboard with the Forte’s arguably more modern looking, but probably lower quality item. Daaamn KIA is really getting there.